When what before their hopeful eyes did appear? Certainly not the horns of a rooster so dear. “Don’t dash away! Don’t dash away!” they all squalled. Surely a rooster nearby lurked? and (with the help of margaritas) called it a good night! 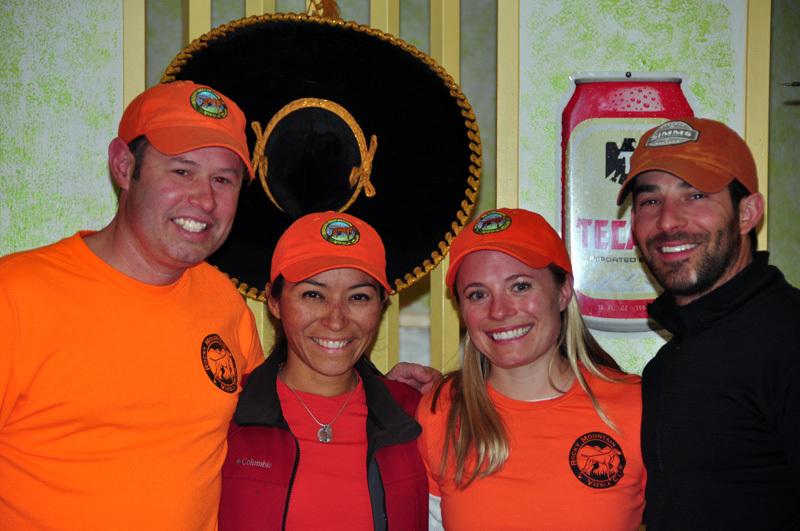 Pictured left to right - Aaron, Mel, Erica, Spencer - enjoying a local restaurant after hunting pheasant in NE Colorado. Love the Rocky Mountain Vizsla Club swag we're sportin'! For another take on hunting pheasant with Vizslas in Colorado check out “A Vizsla to Hunt With“.